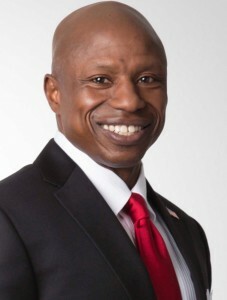 U.S. Sen. Cory Gardner is campaigning with Darryl Glenn in the race to replace Sen. Michael Bennet, and the left finds this somehow surprising because the two Republicans’ conservative right-leaning views are not carbon copies of what the national party tells them to think. This is only surprising to Democrats, because that flies against their indoctrination. There’s no room for differing views on any issue as far as the left is concerned. Every party member is expected to march in lock-step with what Washington tells them to do, from the White House all the way down to the so-called grassroots Democratic organizations masquerading as activist groups. But that’s not how Republicans roll. The Post calls the duo “an arranged political marriage,” which is kind of what happens when the free people vote. It may be unusual to them, but we consider it the American way. We expect to see the Post pick away at Glenn throughout the election and disagree with his political positions — he is after all, a Republican. But it looks like they are trying to cut down anyone who would dare campaign with Glenn as well, which to us just screams of desperation. The Denver Post wants middle of the road politicians. They endorsed smiling Cory because they thought he would be one. They KNOW that Darryl is a rightwing nutjob.